Manufactured Foreclosure: The Law Offices of Evan M. Rosen Wins Trial for Client Who Never Missed a Payment! Despite this being a case we would have won on the merits, it ended up being another, come-from-behind win, based on evidentiary issues. Despite the Judge initially overruling my numerous objections to evidence coming in through testimony of a non-qualified bank robo-witness, eventually, during my Motion for Involuntary Dismissal, the Judge announced she was reversing all her prior rulings during the trial on certain key pieces of evidence. She ruled that she was instead sustaining my objections, excluding the pay history, acceleration letter and account information statement as the witness, Kevin Gavigan, was not qualified and as a result, my motion was GRANTED – CASE DISMISSED! This was after the Plaintiff put on their case in chief. I never got a chance to put on our case, which would have proved that this particular client NEVER MISSED A PAYMENT. Yes, that’s right, this client NEVER MISSED A PAYMENT and was sued by Bank of America for a completely manufactured foreclosure. Going back to 2009, Bank of America started claiming our client did not have the requisite insurance in place. But, he did. In fact, he had more insurance than was required, at all times. BOA wrote our client, numerous times over the years, with these false claims. Each time, our client, an attorney and former state legislator, who was chairman of the banking and finance committee, would respond, sending in proof of coverage. Most times, within a few weeks, BOA would write back saying something to the effect of, ‘whoops, you’re right and you don’t owe us anything.’ However, like Doree in “Finding Nemo,” BOA would exhibit an almost eerily powerful case of amnesia. Within a few months of writing they were wrong, they’d again ask for more money based on the same shenanigans. This went on and on for years. The last time they did this, instead of it ending with BOA sending a “whoops, I’m sorry letter,” they stopped accepting our client’s timely, full payments and filed suit. Because our client continued paying as agreed and because of Bank of America’s complete and utter disregard for the rule of law and justice, the amount ‘in default,” as per their acceleration/pre-suit demand letter, was less than $150! Which, because of subsequent timely, full payments made by our client, was cured numerous times over. For our case in chief, we were ready to move into evidence multiple years of correspondence from BOA demanding certain coverage. We had set up the deposition of the records custodian of our client’s insurance carrier so we could introduce records to show the proper coverage was in place, at all times. We had done the same for our client’s own bank records to show all the years and years of timely payments. We also had a fair amount of damning correspondence from Bank of America, some admitted they were wrong, others showing them voluntarily returning payments for no good reason. Possibly best of all, was BOA’s own pay history which showed our client cured the less than $150 demanded and kept paying, even for a very long time after BOA starting rejecting his payments. The first part of their motion for rehearing/new trial claimed we did not provide our exhibits timely. The Plaintiff falsely accused us of providing one hundred and forty-three pages of trial exhibits, for the first time, one day before trial. This could not be further from the truth. On September 9, 2014, the Court signed the Trial Order, setting trial for November 4, 2014. On September 22, 2014, Plaintiff served Defendant with the Trial Order. On October 2, 2014, Defendants filed a Notice of Taking the Deposition of the records custodian or representative of The Standard Fire Insurance Company. This Deposition was coordinated with Plaintiff over a month prior to trial. On October 3, 2014, Defendants filed their Amended Witness and Exhibit List, which again detailed the exhibits in question. On October 9, 2014, a month after the trial order was entered, Plaintiff filed its Notice of Request for Trial Exhibits. On October 21, 2014, two weeks prior to trial, Defendants filed their Notice of Intention to Offer Evidence Pursuant to Florida Statutes §90.902(11) and §90.803(6)(a) and attached two sets of records: 1) Defendants’ bank records, totaling eighty-five pages and 2) Defendants’ flood insurance policies, totaling twenty-nine pages (excluding a blank page mistakenly in the record) for a total of one hundred and fourteen pages of exhibits. On October 31, 2014, Defendants served Plaintiff with one hundred and forty-three pages of trial exhibits. This included the one hundred and fourteen pages previously served on Plaintiff. The remaining twenty-nine pages consisted of nineteen pages of letters from Bank of America, retuning checks to Defendants, and ten pages of correspondence between Bank of America and Defendants. The great majority of the additional twenty-nine pages was correspondence written by Bank of America. Despite Plaintiff’s repeated attempts to mislead this Court that it first received the one hundred and forty-three pages of exhibits three days before trial, one hundred and fourteen of them were provided two weeks before trial. The rest were almost exclusively Bank of America’s own records, which were already in their possession! Only after being confronted with the truth, did Plaintiff’s counsel admit that they did receive Defendant’s Notice of Intent to Offer Evidence. The court knew this and did not re-address the issue. The other part of their motion for rehearing was based on issues relating to the Plaintiff’s sole witness, Kevin Gavigan. They Judge correctly found that Mr. Gavigan was not competent to testify as to the pay history, breach letter, and summary. Those records were then properly excluded from evidence, and as a result, Plaintiff did not meet its burden of proving that there was a default, acceleration and damages. THE COURT: . . . I find that the fact that the witness has been employed by Bank of America for two years and his only experience with the records has been through course and procedures, that he had no experience in supervising or participating in any of the departments that are responsible for generating business records or the notice of default. . . . I don’t think he has sufficient experience to testify to the business records that were introduced through the plaintiff. THE WITNESS: Yes, ma’am. 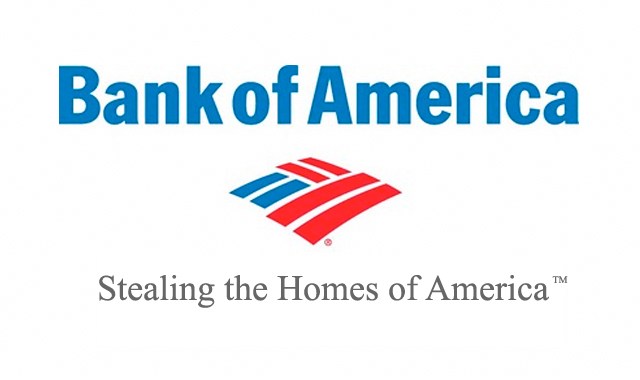 I’ve been with Bank of America for about two years. During those a little over two years I’ve been training formally and informally on how to review and interpret our business records, this being one of them, which is the breach letter. . . . THE COURT: When you say you’ve been trained, can you please explain what kind of training you’ve had. THE WITNESS: Yes, ma’am. When I first started with the position, we went through all of the documents that typically come out in a court case, the breach letter being one of them. And so, you know, we go through how to compare the breach letter to the payment history, to identify the default date, how much is required to cure that default, the different pieces of information embedded within the default letter, for example, how the default can be cured. And so that was the formal training. And then from the informal standpoint, just throughout my tenure with Bank of America, the breach letters come in almost every trial, so I’m continually learning, you know, the information that’s here in the breach letter. THE COURT: How did you learn how payments are posted? THE WITNESS: That was part [of] our formal training. We were taught that in our training classes and on an ongoing basis. I want to answer your question properly. Did I answer your question? THE COURT: Did you sit in a classroom or did you visit the department? THE WITNESS: I’ve never physically been to the payment processing department. . . . When asked by the Court how the default letter was made, Mr. Gavigan stated that he knew through his training. However, once again, Mr. Gavigan admitted he had no personal knowledge of the procedure. THE COURT: Have you observed this procedure? THE WITNESS: I haven’t been physically to the location. THE COURT: Your knowledge about how entries are made and recorded is strictly on the training that you’ve received; is that correct? You’ve never observed the payment process; is that correct? THE WITNESS: Not directly. . . . Despite the Judge’s good faith attempt to get the full picture of the witness’ background and knowledge, Mr. Gavigan did not have enough “personal knowledge,” as per Florida Statute §90.604, to testify or be an “otherwise qualified witness” to lay a foundation for the business records exception to hearsay. Mr. Gavigan’s testimony was also suspect. First, during my cross examination, Mr. Gavigan insisted that he kept and maintained business records for Bank of America. According to Mr. Gavigan, “reviewing documents on a computer at home, that entails keeping and maintaining records…” Along these same lines, Mr. Gavigan also stated that Plaintiff’s counsel showed him the original note before trial, yet that note was not in the Plaintiff’s counsel’s possession. Additionally, in response to some very simple, specific questions, even from the Court, Mr. Gavigan used responses like “not directly” or “indirectly” to avoid giving a straight answer. The Court also found that there was no evidence of proper acceleration because there was no evidence that the default letter was mailed in compliance with the Mortgage Contract. Paragraph 15 of the Mortgage Contract requires that the default letter be mailed to the mortgaged property address or to another address if the borrower designates as much in writing. The default letter was allegedly mailed to an address other than the mortgaged property and Plaintiff did not introduce any evidence that Defendants designated a different address in writing. Plaintiff completely ignored this issue in their Motion for Rehearing but the Court was very clear in its ruling. This issue alone was sufficient to grant our motion. THE COURT: . . . In addition to [the lack of competency of the witness], even the notice of default which was sent to an address other than the address on the mortgage – I am sure that common sense tells you, if the address was sent to another address, that sometimes the borrower must have notified the bank, but there has to be a record introduced that he notified you. You can’t just assume that because Bank of America sent a letter to another address, that he must have introduced – he must have provided Bank of America with another address. I mean, that’s a leap and I’m just not ready to make it. The evidence was not there. Ultimately in this case, the Defendant alleged that Plaintiff caused the default through wrongful forced place insurance despite having knowledge that the property was already covered by a separate flood insurance policy. Via the pleadings, Plaintiff was put on notice that Defendants intended to prove that Plaintiff knew that flood insurance was in effect on the property at all relevant times. The issue of forced place insurance, which created the alleged “default,” had been ongoing since 2009. Plaintiff had at least five years to review its file, including its correspondence, and correct its error. It has had numerous opportunities, at each above listed event but it chose not to do so. Instead, it chose to waste valuable judicial resources in bringing this foreclosure action, including its pre and post-trial motions, and by further failing to make any attempt to prepare for trial despite ample time and notice of the issues. Through the presentation of the Plaintiff’s case in chief alone, their own pay history showed the Defendant had paid, as agreed, well beyond the alleged date of default. Had the Defendant put on his case, the evidence would have shown that he made every mortgage payment up until the time foreclosure proceedings were instituted. He only stopped sending payments because Bank of America rejected them for almost a year and then filed suit. As evidenced by its own letters, the Plaintiff admitted, numerous times, to wrongfully force placing insurance. Yet, due primarily to the Plaintiff’s sole witness not possessing requisite personal knowledge to lay a foundation for business records, key evidence was excluded, and the Plaintiff could not meet its prima facie burden. As a result, the Court correctly granted Defendants’ Motion for Involuntary Dismissal. Motion for Rehearing and New Trial Denied. If you are in Florida and are looking for help with debt and foreclosure, call us at (855) 55-ROSEN or fill out our online form for a FREE CONSULTATION. Let the lawyers and staff at The Law Offices of Evan M. Rosen serve you! We never missed a payment and actually paid the loan off early but payments weren’t credited. Unfortunately our lawyer was a wolf dressed in sheeps clothing and afraid to hold the unethical Judge’s feet to the fire because it might affect his future cases. We aren’t going anywhere and I have a completer paper trail of proof. We met the burden of proof the guilty bank didn’t and couldn’t. We also had a preponderance of evidence that will put the bank employees. the lawyer & the judge behind bars. It isn’t gonna be long now when this story is going to blow up and expose and jail a lot of corrupt officials in MA.